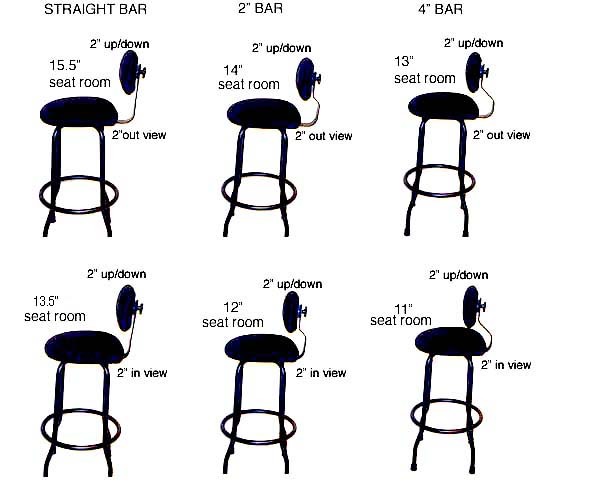 Concert Design has discontinued production of the piccolo ‘gig’ stool. The H5 ‘gig’ stool can replace almost all the features built into the piccolo ‘gig’ stool. We originally made the piccolo ‘gig’ to accommodate very low seating, for example, Celtic Harps. Please contact us if you require special seating needs and we will discuss how best to do this. 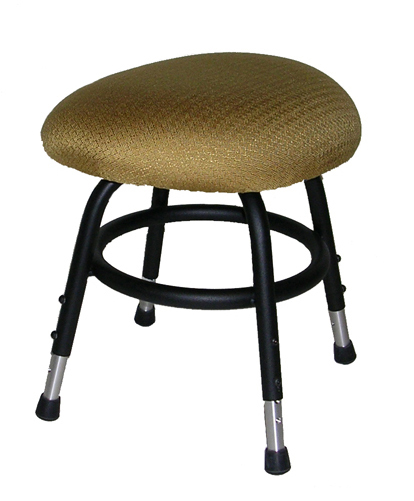 Piccolo HarpCello ‘gig’ Stool shown with optional back support (priced separately). 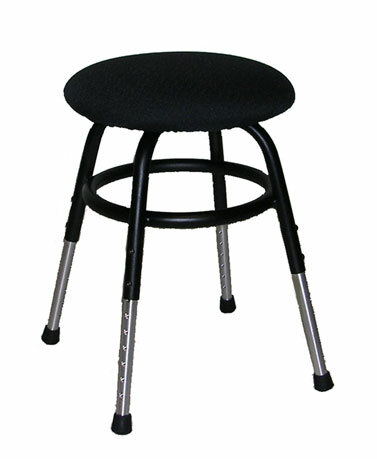 Stool fully extended to 21″. Refer to Facts Sheet for information on back supports. Optional back support. We recommend using the back support as much as possible removing for performance only, when desired. With back support removed. Fabric is Concert-Black, Ebony (LY23). 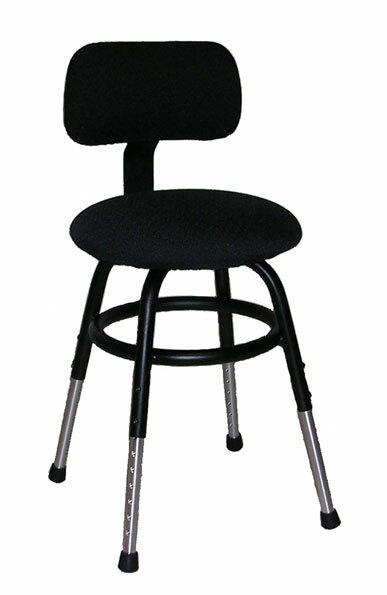 All ‘gig’ harpcello stools available with swivel feature; is designed with resistance that prevents free spinning rotation which can cause spinal injury. 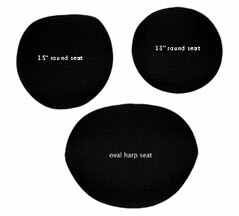 Can be used with any seat shapes shown below. Piccolo HarpCello ‘gig’ Stool (with back removed). “New” Bass Stool for Child learning Double bass. A creative customer realized the harpcello ‘gig’ stool was the best size for her young son learning bass. Also shown on C4 ‘gig’ bass stool page. 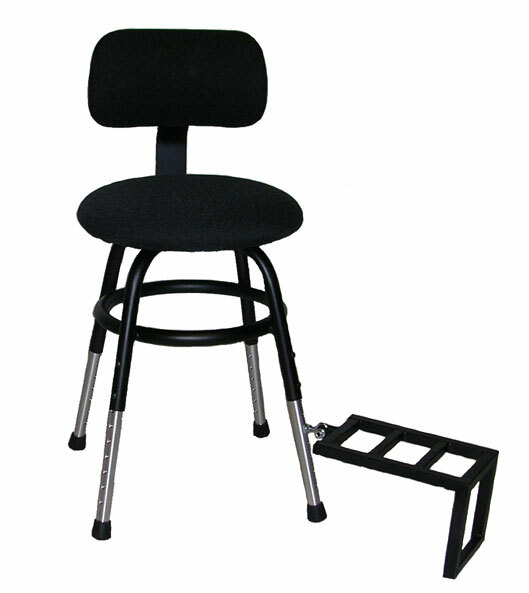 harpcello ‘gig’ stool with 15″ cutaway seat, perfect for young people, children, learning bass. Shipping rates are for Canada Post/USPS one (1) Harp Stool per box. For quantity orders, better rates are obtained by UPS to Canada or USA. International Orders are by freight forwarder. Please call for more information.